(CBS) Scientists may not agree on what causes autism, but a new study that looked at kids' facial characteristics might help researchers understand the origins of the developmental disorder. The study found that children with autism have distinct differences in facial characteristics than typically developing children. "There is no clear answer about whether autism is caused by genetics or by environmental influences," study author Dr. Kristina Aldridge, assistant professor of anatomy at the University of Missouri School of Medicine, said in a written statement. "If we can identify when these facial changes occur, we could pinpoint when autism may begin to develop in a child." 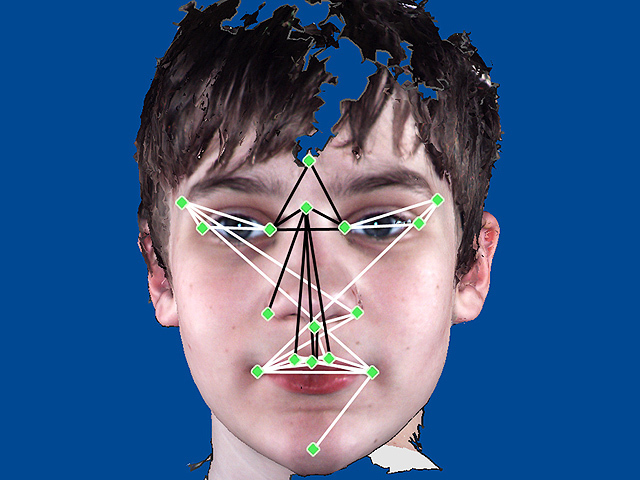 For the study - published in the Oct. 14 issue of Molecular Autism - researchers compared facial features in 64 boys with autism with faces of 41 typically developing boys, all 8-12 years old, with a 3-D camera system. After mapping out 17 points on faces, the researchers found significant differences between the two groups. The study found children with autism had wider eyes, and a "broader upper face," compared with typically developing children. According to the study, children with autism also had a shorter middle region of the face - including the nose and cheeks - as well as a wider mouth and philtrum, the divot above the lip and below the nose. The study also found that children with more severe autism traits such as behavioral problems, language difficulties, and repetitive behaviors had distinct facial differences from other children with milder autism. Aldridge said finding out when these changes occur will enable researchers to focus on finding the disorders' underlying causes. "Knowing that point in time could lead us to identify a genetic cause, a window of time when the embryo may be susceptible to an environmental factor, or both," she said. One out of every 110 children has an autism spectrum disorder (ASD). People with an ASD may experience difficulties with social interaction, communication, intelligence, or behavior. The CDC has more information on autism.